THE Olympic spirit in Australia is well and truly at fever pitch after some gutsy efforts in the pool and on the basketball court. The Boomers almost caused the upset of the century, an 18-year-old by the name of Kyle Chambers shocked the world while Cate Campbell continues to do Cate Campbell things. The focus shifts from the pool to the track in week two, and we have identified a couple of stars in their pet events who are way over the odds to claim gold. 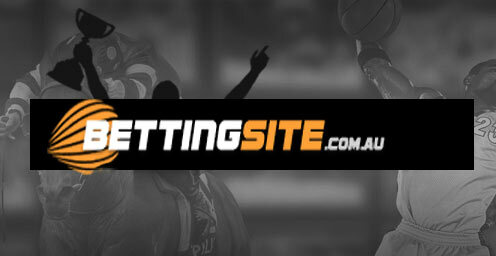 All odds and times for events are provided by WilliamHill.com.au – dates and start times are subject to change. Looking to open a new online betting account? William Hill has a terrific deal for new punters. The long jump is one of our favourite events at the Olympics and we are set to see one of the world’s very best aiming to go back-to-back. Four years ago Brit Greg Rutherford dominated this event, winning his maiden Olympic gold medal in front of his home crowd in 2012. The talented redhead has gone on to win gold three times since; at the European Championships in Zurich, at the Commonwealth Games in Glasgow and the World Championships Beijing. A form line like that is hard to challenge and we are backing Greg Rutherford to make it two golds in a row at Rio. The men’s 10,000 race is exhausting even to type out, so we have a lot of respect for the competitors, but there is even more admiration for the athletes who are going up against Mo Farah. The Brit Farah has one of the most dominant records in world sport – he has not lost a single global outdoor title on offer since September 1, 2011. Geoffrey Kipsang Kamworor is the only other man in single figures at $6, but we do not think he stands a chance against Farah, who is our safest leg of the Sunday multi. One of the most gruelling Olympic events is the third leg of our multi, and thankfully for us a superstar who brings sensational form into Rio is at big odds to claim the gold. Ethiopian long distance runner Mare Dibaba took out last year’s World Championships gold medal in the marathon in one of the closest finishes of all-time in the event. Since then she has finished third at the Houston marathon, and a sixth and the London marathon before taking a four month break to herself in peak condition for Rio. We are backing Dibaba to add an Olympic gold to her World Championship triumph last year – boosting our multi odds exponentially in the process. Last leg of our multi looks to be another safe bet given the form that Wimbledon champion Andy Murray is in. The dominant Scot has been in scintillating form since his Wimbledon, and aside from a testy match against Italian Fabio Fagnini, Murray has decimated everyone in his path in his quest to defend his London 2012 gold medal. Murray’s greatest danger was going to be Novak Djokovic, but given the Serbian was eliminated early in the piece Rafael Nadal presents the toughest opposition for the world number two. Nadal is a $5 chance to win the Gold at Rio, but we do not think the Spaniard has what it takes anymore to match the Brit, and we think he will go back-to-back in the event. We all know the agony of missing out by one leg on a multi, so thankfully WilliamHill.com.au has your back with a fantastic multi insurance promotion. Place a four or more leg multi on any sport including the Olympics this weekend, and if you miss out by one leg you get your cash back up to $50. In addition, get a tiered bonus up to 40% added to your winnings. Bonus are paid as Bonus Bets from 2.5% (4 leg multi) up to 40% of winnings (12+ leg multi); Max Winning Bonus $5,000 Bonus Bets. Sick of those Russians beating our ‘clean athletes’ in Rio? Sportsbet.com.au know your pain. If you back an Aussie in any event and they finish second to a Russian athlete Sportsbet will give you cash back up to the value of $50.